Regulars at the Cross Guns Inn in Pant have now raised enough money through their monthly quiz to name a guide dog. At the quiz on 19 January, locals at the pub decided on a name for ‘their’ puppy. After a number of possible names were put forward by the teams at the quiz, a show of hands at the full pub led to the name being chosen as Dougal. 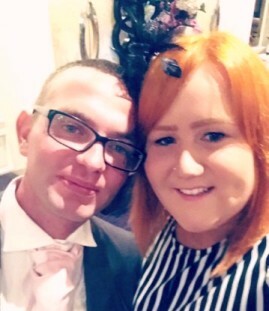 Chris and Jayne Richards have been organising the monthly pub quiz at the Cross Guns for the past four years and have seen the popularity increasing. Each month they raise around £80-100 and they have now collected £2,500 for Guide Dogs. But the work doesn’t stop there, Chris and Jayne are carrying on fundraising for Guide Dogs and the next quiz date is already in the calendar – 23rd February 2018 at 8pm. Fundraising has already started for the next dog! 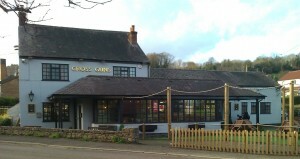 You will see new faces at the Cross Guns Inn in Pant from this week. The Cross Guns Inn in Pant will have new faces behind the bar from this week as Sarah Hopkins takes over the reigns at the pub with Gazz Handley and Steve Bedford as her managers. 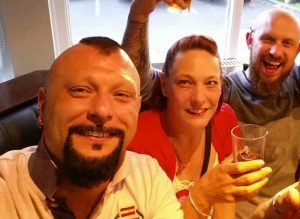 Gary and Charlotte, who have run the pub for the past year, are moving to a new pub in the Manchester area. Gazz and Steve have confirmed that both next month’s pub quiz and Pant Lunch Club will be going ahead. New faces: Gazz (left) and Steve with Gazz’s sister. The Cross Guns is owned by brewer Marston’s and as well as serving the locals in Pant and surrounding areas, the Cross Guns is a popular stopping off point for travellers on the A483 from Oswestry and the North to Mid Wales. Sarah has already posted on the Cross Guns’ Facebook page that they will be recruiting new kitchen and bar staff and although experience is preferable, it is not essential as full training will be given. Anyone interested in applying is asked to go to the pub’s Facebook page and contact Sarah by direct message. Pant Autumn Bazaar held on Saturday 7 October this year raised more than £450 towards the upkeep of Pant Memorial Hall and saw over 170 people attend. 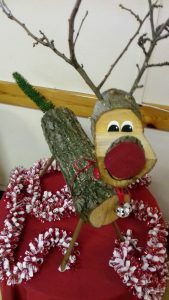 The Bazaar, was supported by a number of local stallholders and charities including Oswestry Country Markets, local Pant beekeepers Chris and Jayne, the Restore the Montgomery Canal campaign and Cae Post. These stalls were joined by a number of individuals and stalls organised by volunteers from Pant Memorial Hall. Pant Memorial Hall was founded as a resource for all the people of Pant and the Autumn Bazaar was an ideal opportunity to showcase its facilities as a community hall in North Shropshire and a focal point for the village. Thanks to the generosity of individuals and local businesses, the Memorial Hall was able to raise over £450, which will go towards the maintenance of the hall. This is the third year that the memorial Hall has held a fundraising bazaar and together they have raised over £1400 for the Hall’s upkeep. The committee at Pant Memorial Hall will be considering whether to hold a similar event in 2018 but in the meanwhile will be looking at the possibility of putting on more events in future. You can find out more about Pant Memorial Hall here. A group of residents in Pant have come up with a new idea – Pant Lunch Club – to give local people an opportunity to meet, socialise and enjoy a communal meal each month. The idea behind the concept is to give people in the village, and further afield, an informal way to meet up with other people, without having to join or become a member of a formal club. People will just be able to turn up at the Cross Guns in the village and meet other people. The pub will offer a choice of lunch items at £5 per person which includes a hot lunch, tea or coffee, in addition to its normal weekday menu. To kick start the idea, the first lunch is scheduled for Tuesday 7th February at 12.30 pm. If there is enough interest on the 7th February, then it is planned to run the lunch club on the FIRST Tuesday every month. Future ideas could also see the club holding entertainment or other special activities, depending on the interests of the people who attend. The club is open to everyone, regardless of age and it is hoped that it will be popular with parents who are at home during the day, the self-employed and retired people. 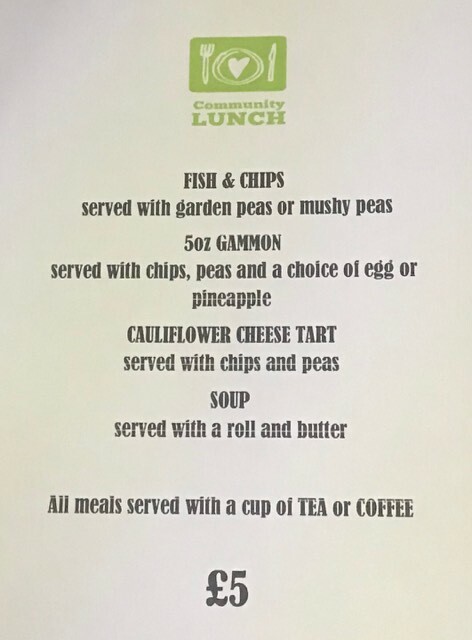 Pant has a great community spirit, but for many people it is a bit daunting going out on their own, for whatever reason, and Pant Lunch Club is being launched to make it even easier to meet up with neighbours, friends and colleagues in a welcoming atmosphere. Although there is no need to join or book in advance, there is a group on Facebook where people can indicate that they will be attending or invite their friends to come along too. Search Pant Lunch Club on Facebook. As the year draws to a close Pant.Today would like to wish all our website visitors, residents and businesses in Pant a very Happy Christmas and a successful New Year. The nights are at their darkest at this time of the year and many people brighten up their homes and the village with their displays of lights in their windows and increasingly outside in the gardens. Maybe one year the Parish Council or local businesses might like to consider offering to judge the best seasonal display or even consider placing a Christmas tree and lights in the village, not only for the benefit of the residents of Pant, but also to those who come home to Pant at this time of the year to be with family and friends at Christmas and New Year. Pant is a very welcoming village and nothing says that more to a traveller returning (or even just passing through) than a bright, colourful display. On the face of it, not much seems to have changed in the village over the past year, but in reality lots of small things have marked the passage of time, be it new landlords at the Cross Guns, people moving out of the village and new people moving in, the second Pant Autumn Bazaar and numerous meetings of the WI, Parish Council, the Church and Chapel or friends just meeting up. Together, these small things make up the village and some of them have been captured on Pant Today. 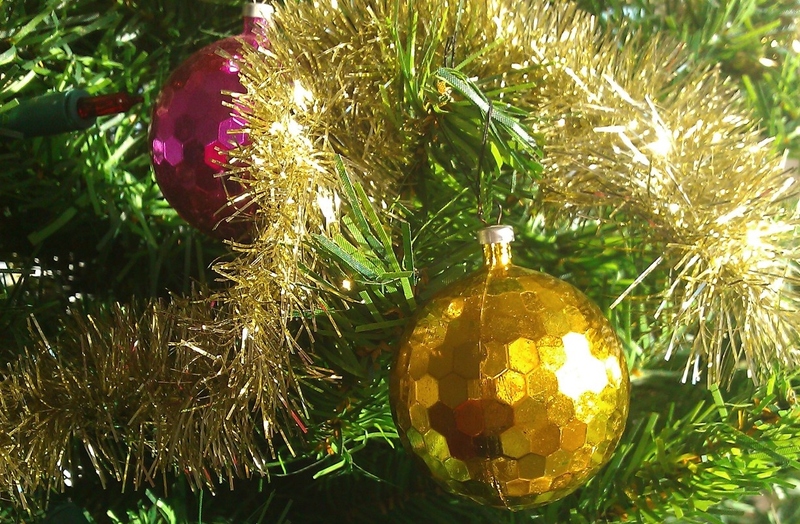 We would like to continue keep helping people to keep informed of local events, so please do let us have any news about charity events or anything else of relevance to visitors and residents of Pant, or even if you have photos of your Christmas light displays please do send them in so that we can share them. Season’s Greetings from Pant. We wish you all a peaceful New Year! 45 foot mobile phone mast for Pant? 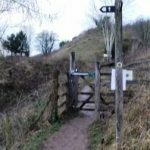 Plans have been submitted to Shropshire Council for a 45 foot high mobile phone mast and telephone cabinet boxes to be sited beside the path on the north side of Stargarreg Lane entrance, opposite the Cross Guns Inn in Pant. According to Bob Hardy, who lives in Pant, Stargarreg Lane is already difficult enough to drive out from onto the A483, without two more obstacles put in the line of sight of traffic. Says Bob: “These two additions will seriously impede safety as drivers attempt to get onto the A483 from Stargarreg Lane. The 15 metre monopole mast is needed, according to documents submitted to Shropshire Council on behalf of Telefonica UK, to provide improved 2G and 3G services for 02 and Vodafone customers, as well as introducing a 4G service. 4G allows customers to use ultra-fast speeds when browsing the internet, streaming videos or sending emails and offers faster downloads. Bob, along with other villagers, have suggested that the mast would be better suited in another location in the village. The proposed location is in the heart of the village, opposite Bryn Offa School, the village green and the Cross Guns pub. Anyone can make their comments about the proposal known to Shropshire Council by registering on their website, where you can also find details and location plans of the proposed new mast. The convenience store in Pant has been listed as an Asset of Community Value by Shropshire Council. 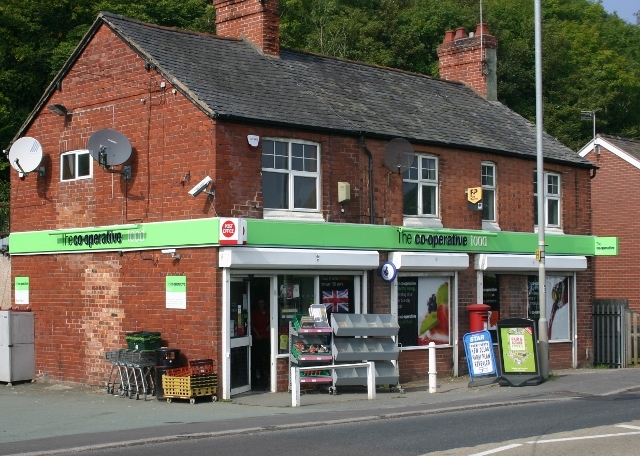 Following the announcement that the Co-operative Group was selling its store to rival McColl’s, an application was made by local residents to have the shop listed as a valuable asset to the village and community of Pant. The Council has confirmed its decision to list the shop, which means that the residents of Pant must now be given advance notice of any planned change of use which could result in the store no longer operating as a retail premises. The convenience store, which also contains a Post Office, is used by locals on a regular basis and provides a vital service to the village. 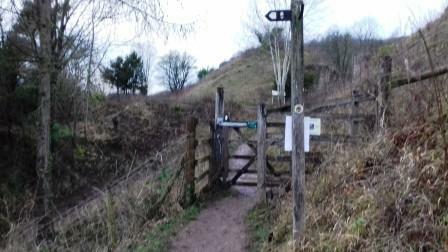 The application to have the shop listed was submitted to Shropshire Council in August by an informal group of Pant residents. The store now joins the village pub, The Cross Guns Inn, as being listed on Shropshire’s register of community assets, following its listing in 2015 – one of over 600 pubs listed as Assets of Community Value in England. 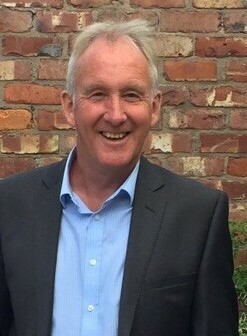 Shaun Fisher, who helped co-ordinate the application, said: “It is great news that the people of Pant have had their village store listed as an Asset of Community Value by Shropshire Council.